In the concession, which is in participation with Egyptian Natural Gas Holding Company (EGAS), Eni as operator through its subsidiary, IEOC, now holds a 40 percent interest. The other partners in the concession are BP with 25 percent interest and Tharwa Petroleum Company with 15 percent interest. 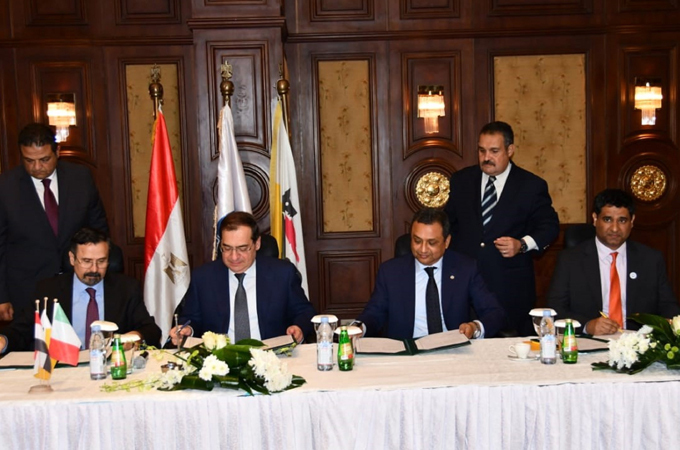 Dr Bakheet Al Katheeri, chief executive officer, Mubadala Petroleum, signed a deed with Eni completing the sale to Mubadala Petroleum in the presence of the Egyptian Minister of Petroleum, Tarek El Molla, in Sharm El Sheikh. A Reuters report said Egypt’s petroleum minister also signed an agreement with BP giving it 25 per cent stake in the Nour field. The Nour exploration block is located in the prolific East Nile Delta Basin of the Mediterranean Sea, approximately 50 km offshore in the Eastern Mediterranean, with a water depth ranging from 50 to 400 metres, and covering a total area of 739 sq km.